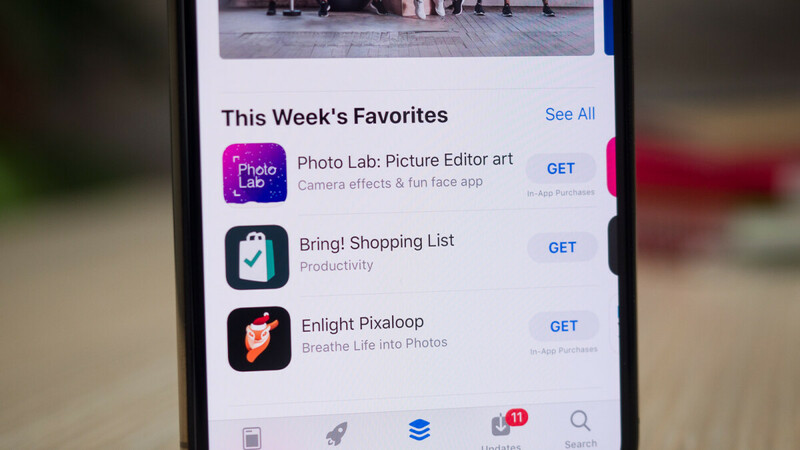 Whether you have just bought a new iPhone or if you are looking for some ideas to freshen up your device, we have this list of the most essential free iPhone apps that will help you make the best of your gadget. After years of try and fail, we've come with a list of essential iPhone apps that we keep on coming back to every time we switch to an iPhone. In this list, we have tried to mostly avoid apps like Facebook, Whatsapp, Twitter and the rest of social media that you use often because... well, you know these apps well anyway. What we want to show you here are some apps that will improve the iPhone experience and that you may have not heard of. Read on. 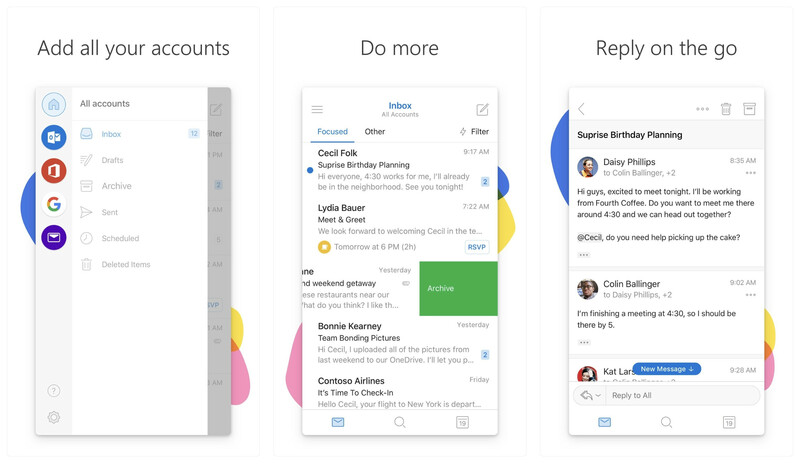 Outlook for iPhone brings many more features than the stock Mail app and first and foremost, it supports push notifications for your mails. 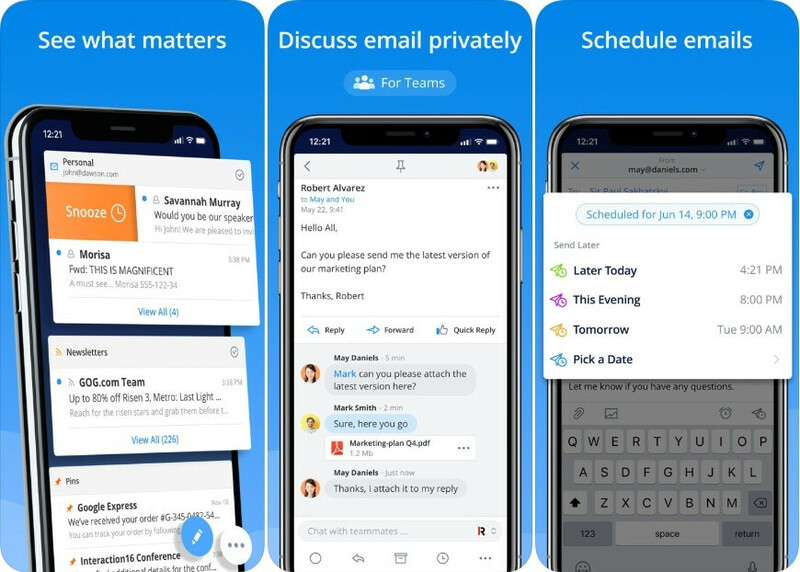 The app allows you to easily switch between email and the built-in calendar feature, swipe to quickly delete, archive, and schedule messages, as well as send large files that you haven't downloaded on your device. The app is free to use and is available on both phones and tablets. Spark by Readdle is another solid email app with support for push notifications and with a clever split of your email between regular mail, newsletters and others, which makes it easier to deal with spam. It's also fast, responsive and offers quite a few customization options. If you are looking for an alternative for the pre-installed Safari browser on iOS devices, Google Chrome is probably your best pick. Fast and reliable, the browser syncs well with other Google products and is easy to manage. 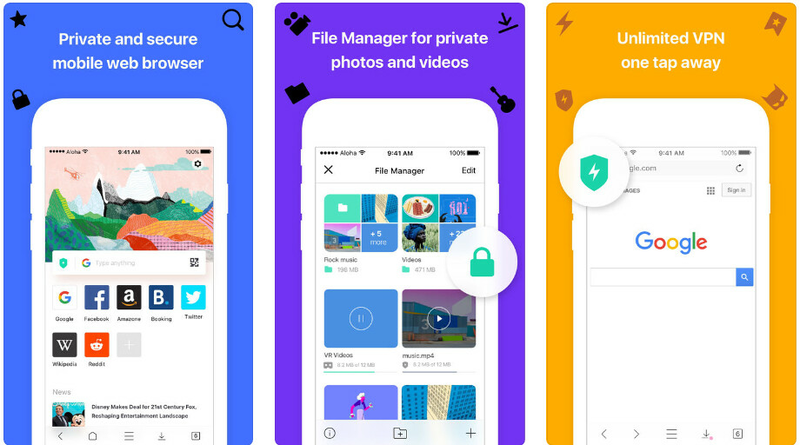 A newly-risen star in the browser world is Aloha, a privacy-focused browser that comes with a built-in VPN service that allows you to be on the web on your own terms and without being tracked. 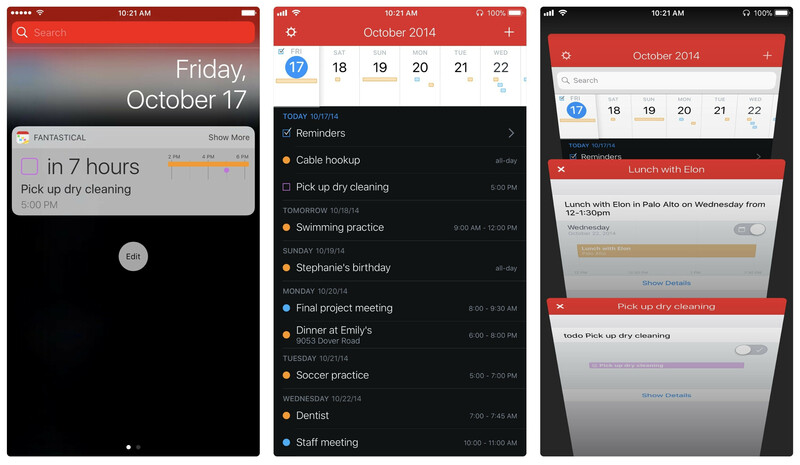 Fanstastical 2 is one of the best calendar apps available for iPhone and it integrates a calendar and a reminders app into one. The app can understand everyday language, so you can just type "buy a gift for my girlfriend in the evening" and have the reminder all set and ready, instead of having to type robotic commands. Google Calendar is another great option with its modern interface, colorful events and smart recognition and parsing of natural language. 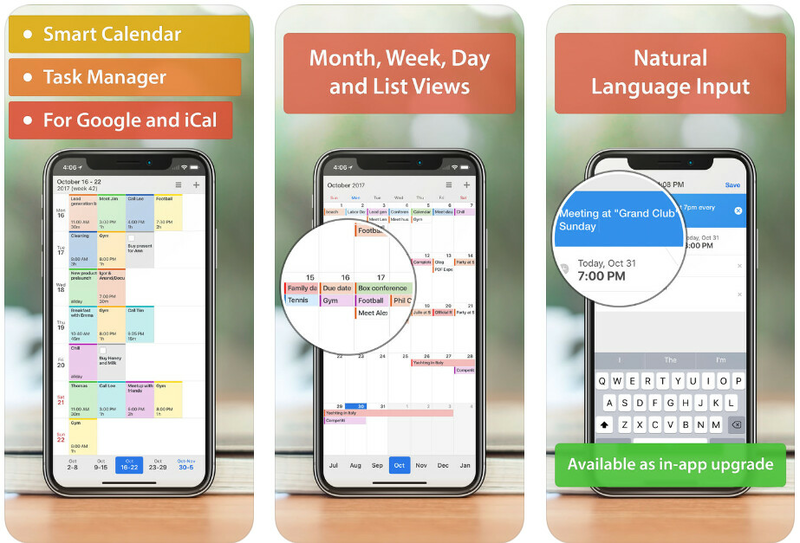 Our third option for a great calendar app is Calendars by Readdle that supports all the same features as the other two with a different and very likable design. If you need hyper-local weather with great precision and if you want to get a notification shortly before a rain starts, just in time for you to grab an umbrella, then Dark Sky is probably the best replacement for the otherwise excellent stock Apple Weather application. This by-the-minute weather prediction is a premium feature and there are a bunch of other extras that you get if you opt in for the $3 per year service. 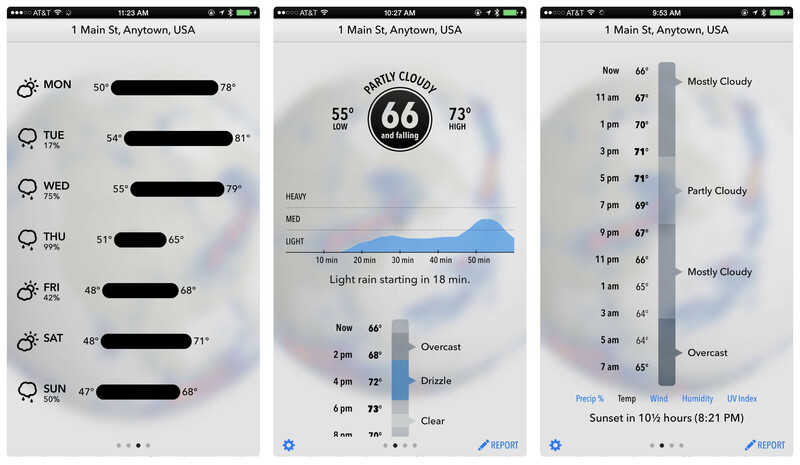 Two other great weather apps for iOS are AccuWeather and Weather Underground. 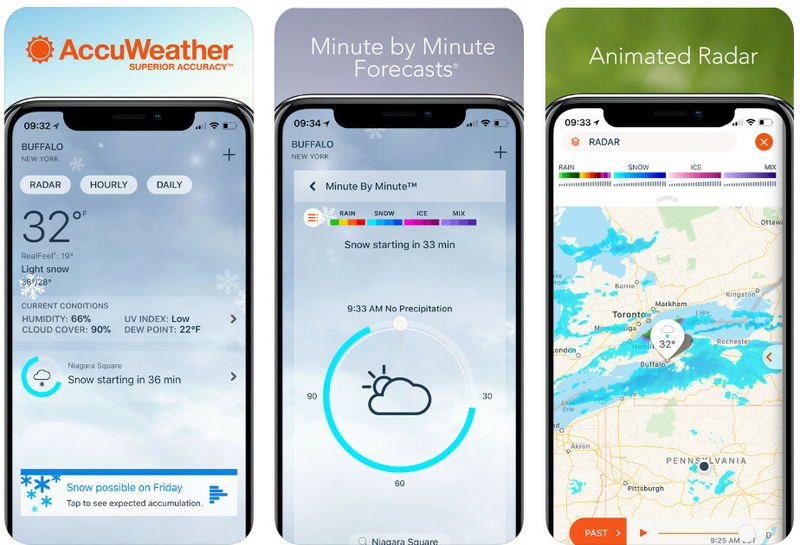 AccuWeather is a free service (with ads), which is simple yet comprehensive, and it has also implemented a MinuteCast feature that gives you a rundown of the weather forecast over the next 2 hours in great details. 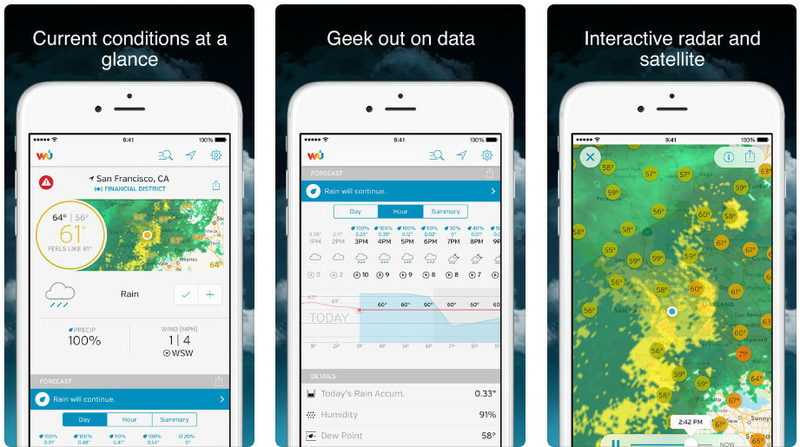 Weather Underground is now owned by The Weather Channel and takes the idea of hyperlocal weather to the extreme as it tracks thousands of local weather stations so that you get truly precise weather data for your particular region. WU also has a webcam section where you can see live footage from the location. Finally, given that we have our phones always in our pockets, it's worth using them for something that will actually benefit our health: for our workouts. 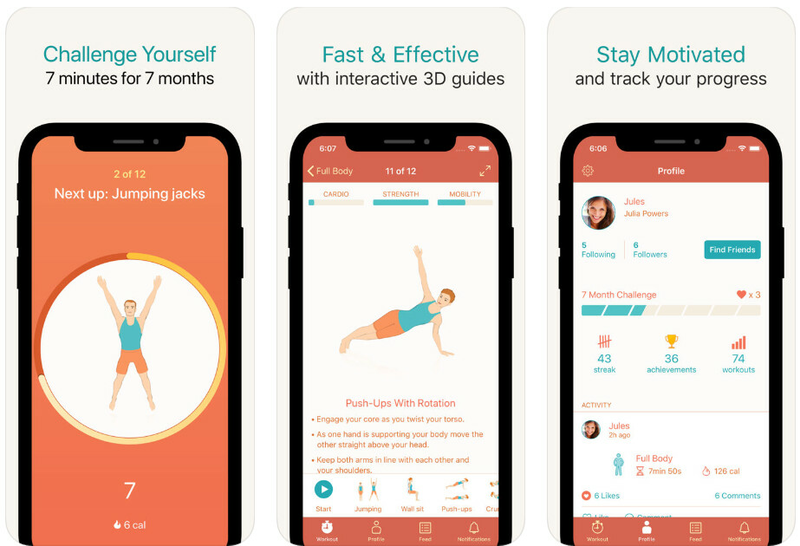 We have a hard time recommending a full-blown gym app for phones since we believe that a gadget has no place in the gym where you workout, but for light workout the 7-Minute Workout system with the app is a great way to stay healthy and energized throughout the day. Apple Maps has improved tremendously in the past few years and from the sad state it was during the launch, it has become much more reliable, but there are still way too many blind spots for the service to top the detailed and very reliable Google Maps. 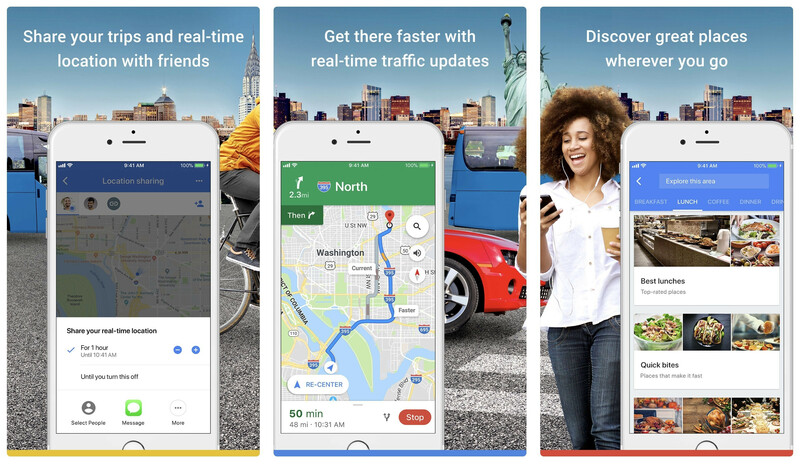 Google’s Maps app features a modern intuitive design, landmarks and very accurate urban directions, but most importantly it is the reliable maps that make it a better choice. 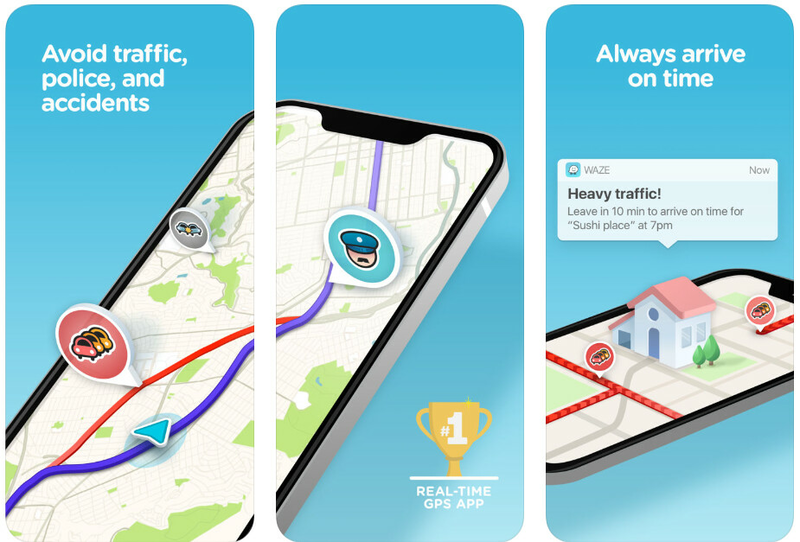 Waze is another very interesting mapping app that is really a platform for drivers and it brings a bunch of cool features like traffic reports and warnings, good information about police cameras in your region and even incident reports. Finally, Citymapper is a great public transit app that only works in big cities. 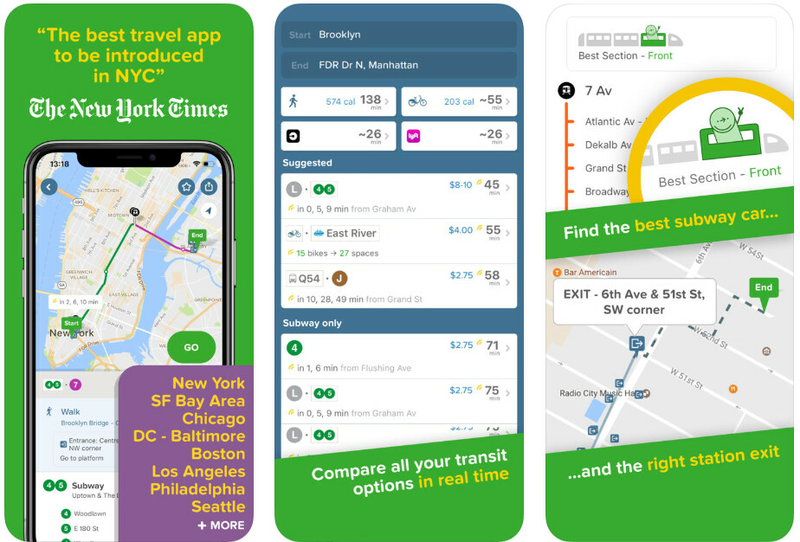 If you happen to live in a city where Citymapper works, it will make your commute so much easier. While Google's own Assistant has grown to be a tremendously fast and capable voice assistant, Siri has fallen back to seem now more inept than ever. 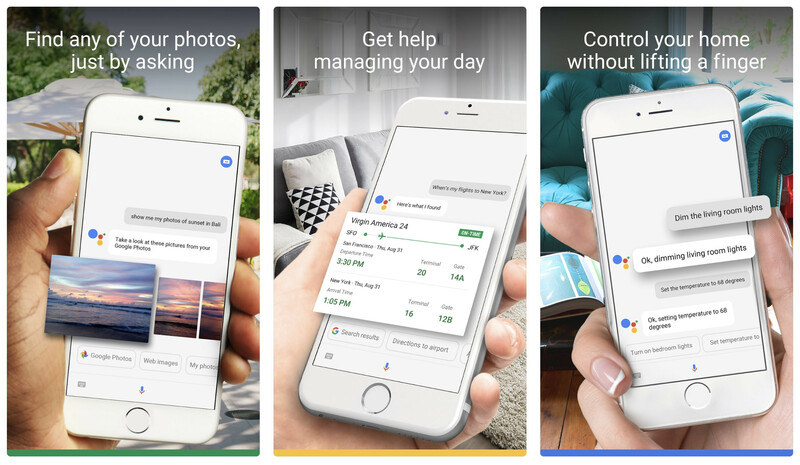 For this reason, we whole-heartedly recommend downloading the Google Assistant for iPhone and enjoying powerful voice searches, effortless translations and most importantly, an assistant that understands you properly practically every time. 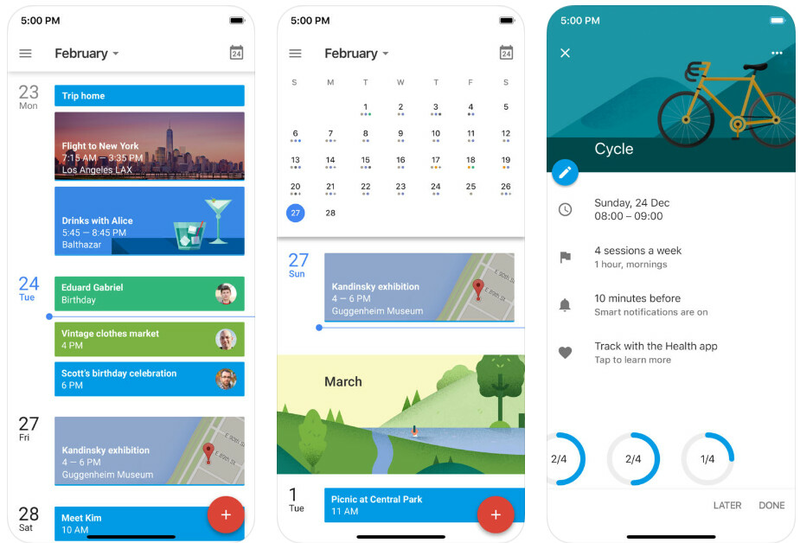 While Evernote was previously our go-to note-taking application for iPhone, these days, since the launch of Keep, Google's notes app has easily trumped it. 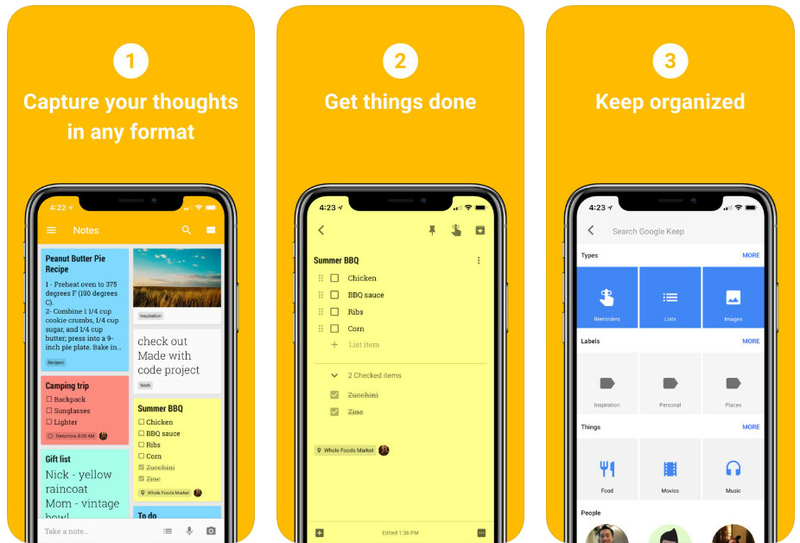 Google Keep is a note-taking app that is simple, fast, easy to use and packed with enough features to satisfy most users. Unless you are using notes as a pro in your daily job, chances are you don't need the much slower and more bloated Evernote. Google Keep allows you to color code your notes, so you can easily see what belongs where: for instance, I have set red as the color for my personal thoughts, yellow for lists of things like groceries, green for work-related ideas... you get the idea. You can also use tags to easier navigate around your notes when you amass more of them. Keeping a journal is probably the one habit of the richest and most successful people that does not require much effort at all. 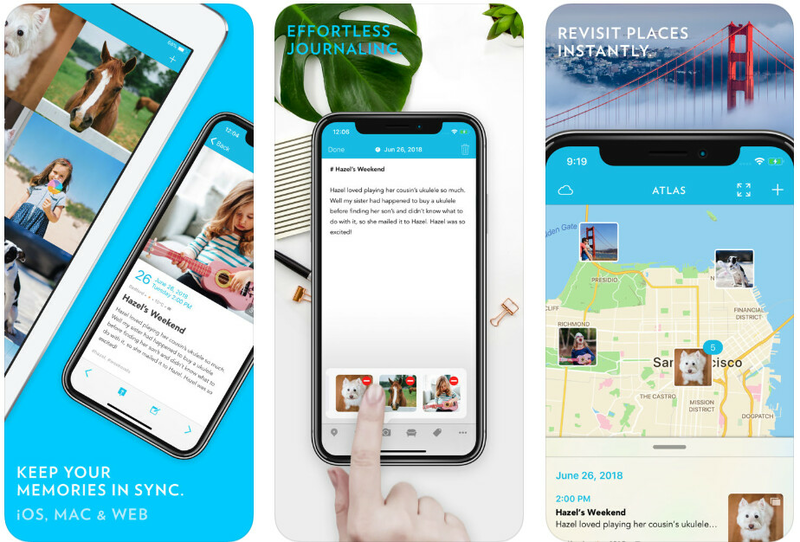 Journey is a great way to stay organized and keep a journal, jotting down your plans for the short and long term, as well as organize all ideas and thoughts into a nice list with tags and a few other power user features. 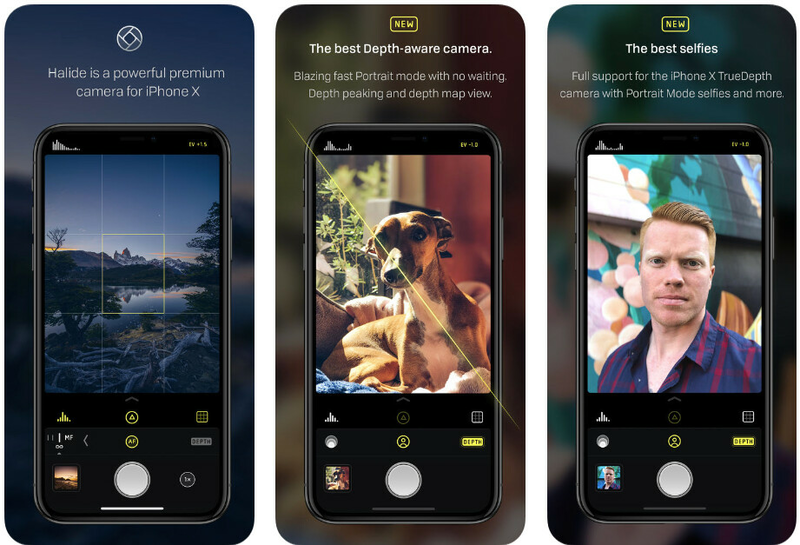 If you are looking for an alternative to the dead simple stock Camera app on your iPhone, there are two very popular options to consider. The first one is Halide, an app that gives you the full manual control over the camera that you don't get with the stock app. And then the other one is FiLMiC Pro, an app for video enthusiasts and not daily users, but with so many people vlogging these days, you might find it interesting. 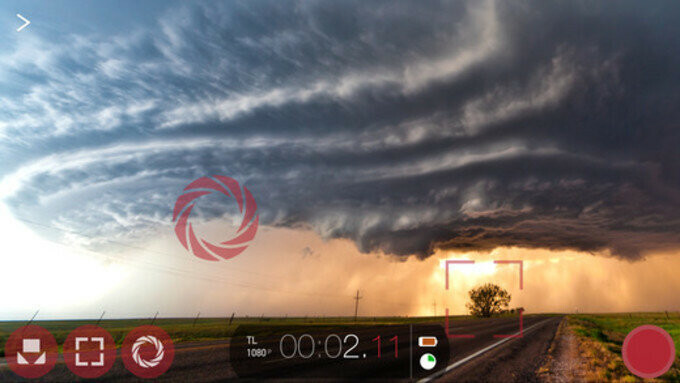 FiLMiC Pro allows you to take full manual control over video by selecting the bit-rate, the aspect ratio, to focus manually, to lock focus and exposure, and more. It's a brilliant tool for the iPhone film-maker. Snapseed stands out with its extremely intuitive and touch-friendly interface, allowing you to tweak every aspect of an image with a precision and ease that no other mobile image editor can offer. It’s easier to point out the things it cannot do, rather than what it can: there’s no way to zoom in on an image when you do your edits (which can be inconvenient on the small screen of the iPhone), it cannot selective blur parts of an image, and it has not been updated to match the new flat looks that Apple introduced with iOS 7. Regardless of those minute shortcomings, it remains the most feature-rich editor out there and it’s completely free, unspoiled by any kind of in-app purchases or other bloat. 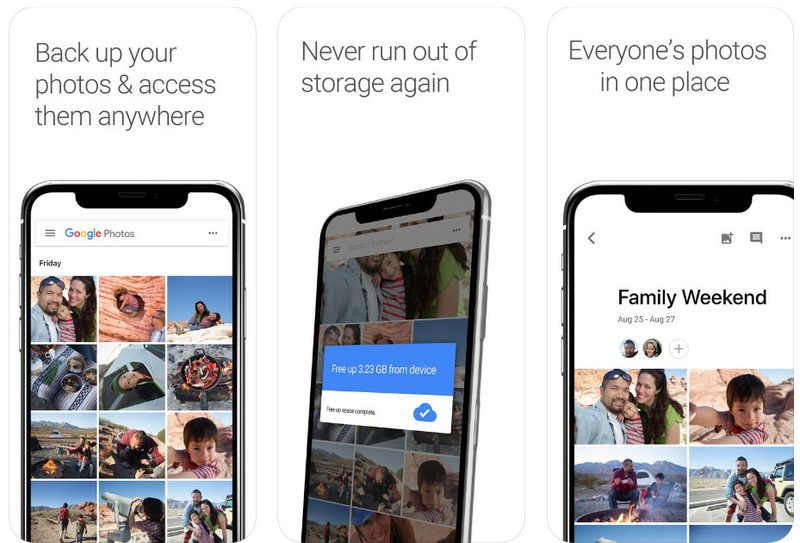 Google Photos allows you to back up an indefinite amount of images to the Google cloud (downsized to 16-megapixel resolution, if they are bigger, and up to 15GB of files in original sizes), and it offers an ingenious way to manage those images. Neatly organized in albums and with some added flare courtesy of Google's smart algorithms, you get smart mashups and collages of images every once in a while as a nice surprise. The true power of Google Photos, however, lies in its ability to decipher what's in images, so you can easily search for something in a large collection: just type something like 'people', 'flowers' or 'buildings' to get all the images in your library that contain either of these items. Neat! 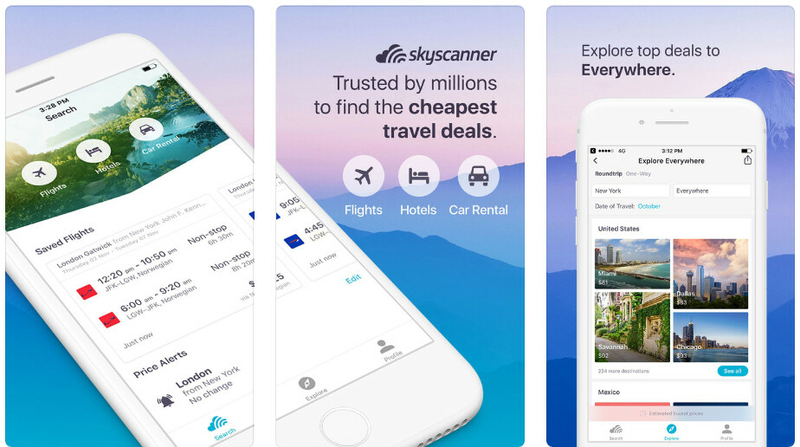 Skyscanner is a useful and popular app where you can check the prices of flights, but also get useful information about other dates when you can fly cheaper, as well as get info about car rentals, hotels and so on. 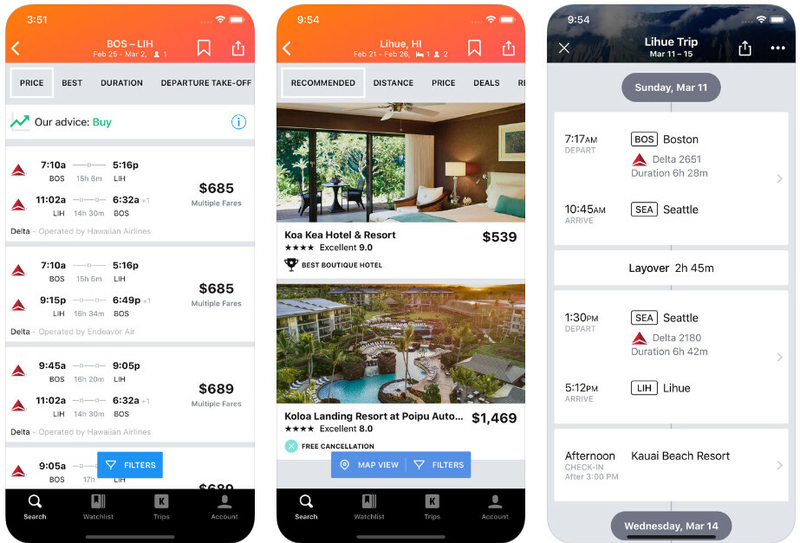 Hopper is another app that analyzes billions of flight prices daily to predict how prices will change, and tells you when to buy your tickets. Hopper constantly monitors prices to find great deals, and notifies you the instant you should buy. It’s like having a super-fast, all-knowing travel agent in your pocket. Next, Kayak is a third, popular service to get a cheap plane ticket and a hotel. theScore is probably the most informative, in-depth and best-laid-out app that you need to have if you fervently follow sports. It offers in-depth information on various games and leagues, including the NBA, NFL, MLB, soccer and so much more. 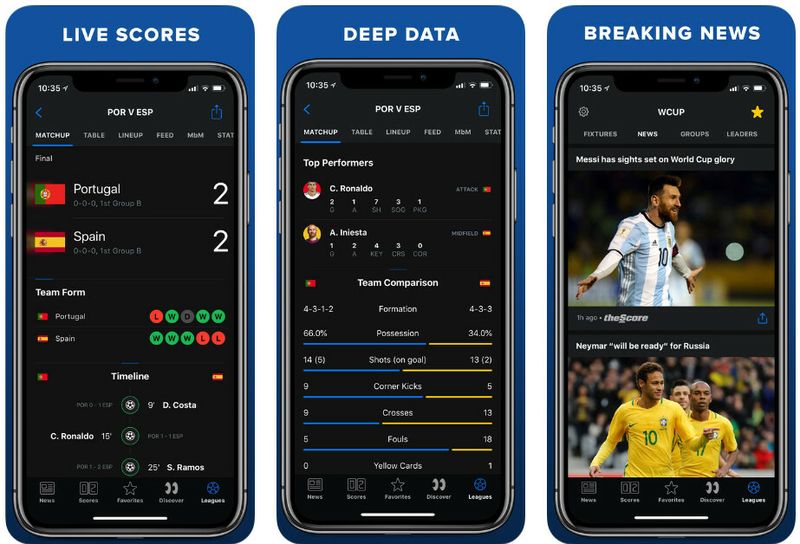 Then, ESPN has also rolled out a completely redesigned app for iPhone that features beautifully simplistic user-friendly style and allows you to easily stay informed about the latest news around your favorite sports team. Not just that, you get by-the-minute live score updates on games, as well as a news section that comes with plenty of videos. The focus of the new ESPN app are the following leagues: MLB, NFL, College Football, NBA, College Basketball, MLS, Cricket and more. 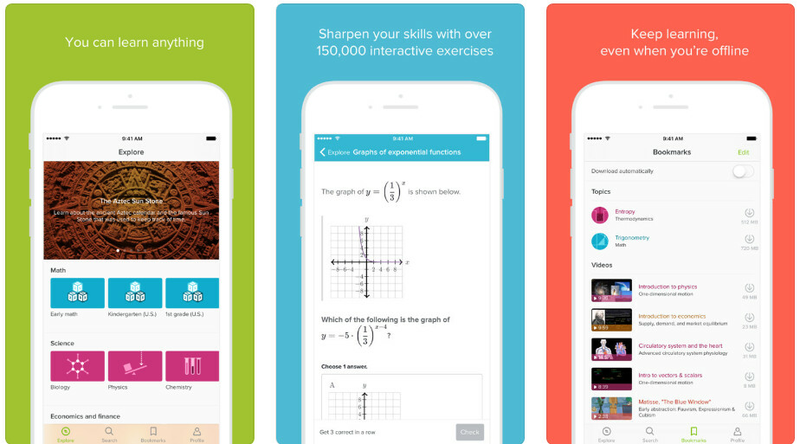 The Khan Academy app allows you to learn almost anything for free. It is, however, the approach to master everything before allowing you to proceed further that has granted Khan Academy its success. You get access to all of the videos that have made the app popular, along with other materials including articles and exercises. Duolingo has brought a little revolution to language acquisition on a mobile device. Its simple, repetitive approach works well to introduce you to a language in all its four incarnations: reading, writing, speaking and listening. Duolingo allows you to learn languages like Spanish, French, German, Portuguese, and more. 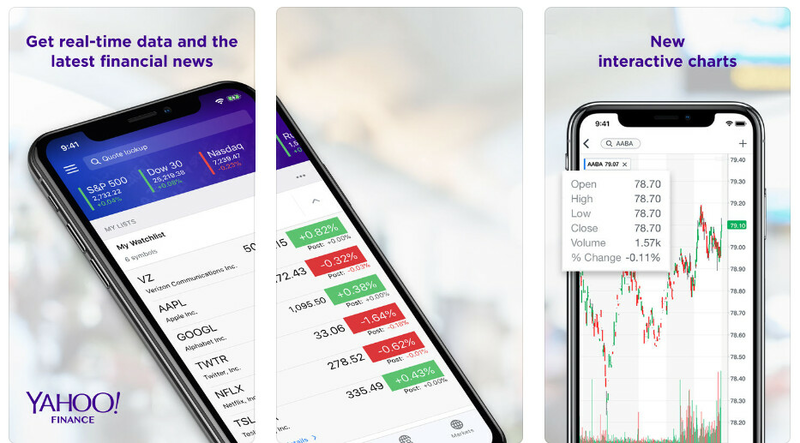 If you want an alternative to the Stocks app on your iPhone, the Yahoo Finance has been the standard in the past few years and it's a fine app with a detailed stock performance charts, news and other information that you will find useful for your investments.